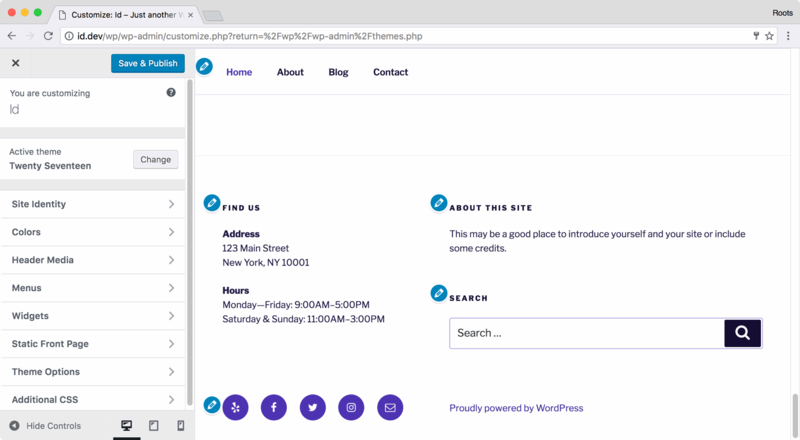 Starter content allows themes to define suggested settings, pages, widgets, and menus on new WordPress installations. You can customize the starter content in order to best suit your theme. 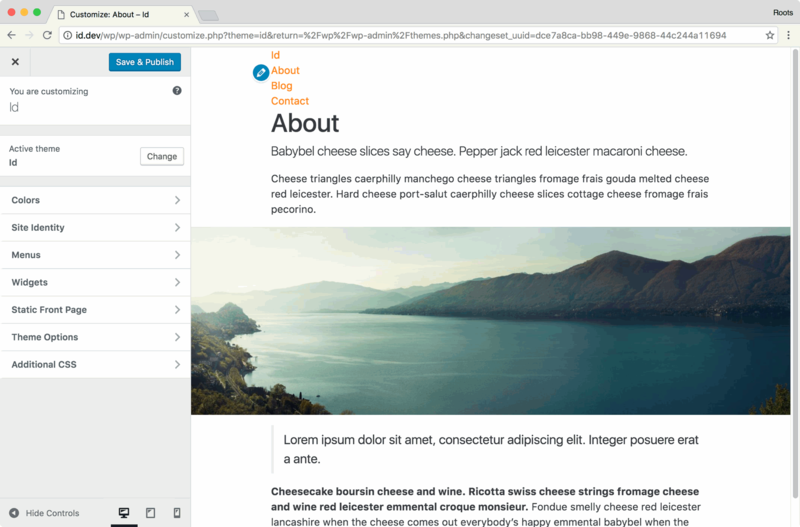 Introduced with the release of WordPress 4.7, the best example that exists right now is in Twenty Seventeen’s codebase. Starter content will be most useful for themes that are for distribution or for sale, as opposed to a theme or site build you’re doing for a client project. You can setup your starter content in a way that will mimic your theme demo. If you’re trying to jumpstart your own theme development on client projects, consider using scripts and WP-CLI to craft your ideal starting point after spinning up a project. In older versions of the Roots starter theme we included theme activation functionality that offered a lot of the same features that come with WordPress starter content. It was moved to a wp-cli command and mostly forgotten about. There’s room for PHP frameworks to step in and make starter content easier to work with. For instance, writing HTML inside of PHP arrays for customizing starter content isn’t a developer friendly workflow. Start out by defining the add_theme_support for starter content within the after_setup_theme hook. In Sage based themes, you can use the existing after_setup_theme hook in setup.php. I’m going to opt for creating a new starter-content.php file to separate things and for better organization. options — An array of options that match up with names in the options table, such as show_on_front, page_for_posts, page_for_posts, permalink_structure, posts_per_page, etc. theme_mods — An array of theme mods, same setup as options. nav_menus — An array of navigation menus with items. Core included nav menu items include page links for the core starter pages as well as social links. attachments — An array of media items. Twenty Seventeen uses this to include placeholder feature images for several pages. Rather than a one liner, we’d like to add some additional text and a placeholder demo image. Don’t want to mix HTML in your PHP? Consider placing your HTML in a different file and using file_get_contents to include it. The core provided text widgets might not be the right fit for your site, but including custom text widgets is as easy as customizing page content. Below we’re adding a new text widget for a call to action and including it in the footer sidebar. Wait, do I even need this? Remember, starter content is useful for themes meant for distribution as opposed to most typical client-based projects. Based on comments on the Make WordPress Core post, the current user experience for starter content can be confusing to both developers and users. Keep in mind that this feature is brand new and will hopefully improve in future releases as more theme authors adopt starter content.